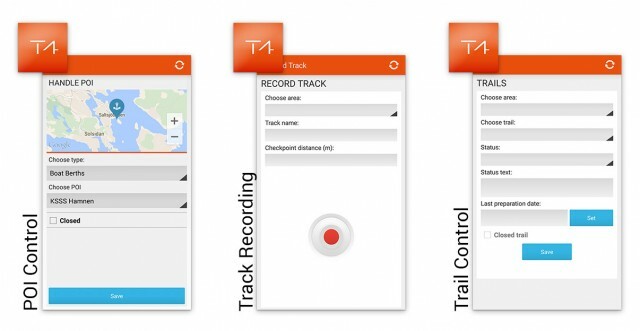 The Track4 Outdoors Navigator App allows employees to manage their daily work and the Track4 Outdoors system directly through their Android mobile phone. The Navigator can be used to manually update preparation statuses on both POIs and trails. If you are after a more personalised experience for the visitor, staff can even leave their own personal messages about trails and POIs to give the visitor an even more accurate information. Your mobile phone’s GPS function can also be used together with the Track4 Outdoors Navigator to record trails and send them to the Track4 Outdoors Back Office as well as automatically update trails as they are prepared.